IBM’s end goal is to create a shoebox-sized chip/brain that has some 10 billion neurons and 100 trillion synapses that runs on 1 kilowatt-hour of power (the human brain has 150 trillion synapses and needs about 20 watts). Eventually, they are looking to create cognitive computers that can take detailed input from multiple sources at the same time, process it and make a decision based on its own experiences as well as its programming. 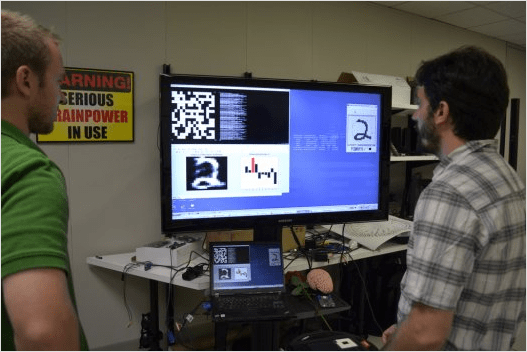 IBM has just finished phases 0 and 1 of the project and have already been experimenting with machine vision, associative memory, patterns recognition, navigation, and more. Like I said, don’t take a hammer to your computer and networked devices just yet — the fun’s only just beginning. These brain chips could herald a whole new age of computing.